The Board of Governors of the European Business Aviation Association are pleased to announce that we have appointed long-standing aviation professional Athar Husain Khan as Secretary General. He will assume responsibilities for leading the Association Secretariat on 2 July. Geneva, 27 June 2018 – The aviation industry today congratulated the Council of the International Civil Aviation Organization (ICAO) for delivering a key step in the implementation of the Carbon Offsetting and Reduction Scheme for International Aviation (CORSIA), a world-first mechanism that will help offset the growth of international aviation CO2 from 2020. It is part of a package of measures including technology, sustainable aviation fuel, operational and infrastructure advances to continue to reduce the sector’s carbon emissions. 22 June 2018 - SHANNON, County Clare, Ireland - In association with MEP Deirdre Clune (Ireland South) and Shannon Airport, the European Business Aviation Association (EBAA) today is holding its ‘Meet Your MEP’ event at Shannon Airport in the company of key stakeholders from the region and beyond. Meet Your MEP is an opportunity for members of the European Parliament to meet with leading Business Aviation (BizAv) operators in their region in order to discuss the contributions of, and issues particular to, Europe’s EUR87 billion and almost 400,000-person strong BizAv industry. Geneva, Switzerland, 31 May 2018 - As the 2018 edition of the European Business Aviation Convention & Exhibition (EBACE) concluded its third and final day today, organizers reported that by every measure, the event once again served as a powerful and forward-looking showcase for the European business aviation industry. GENEVA, SWITZERLAND, 29 May 2018 – European Business Aviation Association (EBAA) Chairman Juergen Wiese joined today with National Business Aviation Association (NBAA) President and CEO Ed Bolen in honoring the life and legacy of Dassault Group chairman emeritus and business aviation leader Serge Dassault, who passed away on 28 May, at age 93. 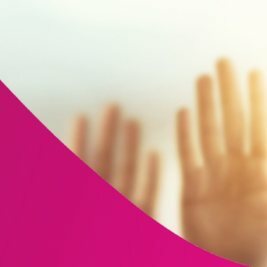 May 21, 2018 - BACA - The Air Charter Association Ltd. and the European Business Aviation Association (EBAA) today announced their decision to join forces to combat illegal charter flights – often referred to as grey charter – where aircraft that have not been approved for paying passengers are used for charter. 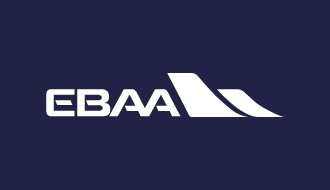 BACA and EBAA will collectively gather data, via a joint reporting mechanism, in an attempt to gain a more accurate picture of an activity that clearly puts at risk the safety and integrity of the air charter market as a whole and those who use it.